UNH has risen to the top echelon of research universities as designated by the Carnegie Classification of Institutions of Higher Education. UNH is now among the 130 doctoral-granting universities in the “very high research activity,” or R1, category. The University of New Hampshire College of Engineering and Physical Sciences empowers creative thinkers, innovative problem solvers and leaders to make a difference. With world-class programs and faculty mentors, students actively engage in rigorous academics and hands on learning and research opportunities to have an impact in their profession, their community and the world. Choose an undergrad program - Undergraduate Programs - Analytics and Data Science: Analytics Option B.S. Analytics and Data Science: Data Science Option B.S. Applied Mathematics: Computation Option B.S. Applied Mathematics: Dynamics and Control Option B.S. Applied Mathematics: Economics Option B.S. Applied Mathematics: Fluid Dynamics Option B.S. Applied Mathematics: Solid Mechanics and Vibrations Option B.S. Bioengineering Major B.S. Chemical Engineering Major B.S. Chemical Engineering Major: Bioengineering Option B.S.Ch.E. Chemical Engineering Major: Energy Option B.S.Ch.E. Chemical Engineering Major: Environmental Engineering Option B.S.Ch.E. Chemistry Major B.A. Chemistry Major B.S. Civil Engineering Major B.S. Computer Engineering Major B.S. Computer Science B.S. Earth Sciences Major B.A. Earth Sciences Major B.S. Earth Sciences Teaching Major B.A. Electrical Engineering Major B.S. Engineering Physics Major B.S. Environmental Engineering Major B.S. Environmental Sciences Major: Geosystems Option B.S. Environmental Sciences Major: Hydrology Option B.S. Information Technology B.S. Mathematics B.A. Mathematics B.S. Mathematics Education: Elementary/Middle School Option B.S. Mathematics Education: Secondary Education Option B.S. Mechanical Engineering Major B.S. Ocean Engineering Major B.S. Physics Major B.A. Physics Major B.S. Physics Major: Astronomy Option B.S. Physics Major: Chemical Physics Option B.S. Physics Major: Materials Science Option B.S. Statistics B.S. Choose a grad program - Graduate Programs - Analytics M.S. Applied Mathematics M.S. Chemical Engineering M.Engr. Chemical Engineering M.S. Chemical Engineering Ph.D. Chemistry M.S. Chemistry Ph.D. Chemistry: Chemistry Education Ph.D. Civil Engineering M.Engr. Civil Engineering M.S. Civil Engineering Ph.D. Computer Science M.S. Computer Science Ph.D. Earth & Environmental Science Ph.D. Earth Sciences: Geology M.S. Electrical and Computer Engineering M.Engr. Electrical and Computer Engineering M.S. Electrical and Computer Engineering Ph.D. Geochemical Systems Specialization M.S. Hydrology M.S. Integrated Applied Mathematics Ph.D. Materials Science and Engineering Ph.D. Materials Science M.S. Mathematics Education Ph.D. Mathematics M.S. Mathematics M.S.T. Mathematics Ph.D. Mechanical Engineering M.S. Mechanical Engineering M.Engr. Mechanical Engineering Ph.D. Ocean Engineering M.S. Ocean Engineering Ph.D. Ocean Engineering: Ocean Mapping M.S. Ocean Mapping M.S. Oceanography M.S. Oceanography Ph.D. Physics M.S. Physics Ph.D. Statistics M.S. Statistics Ph.D. Systems Engineering Ph.D. 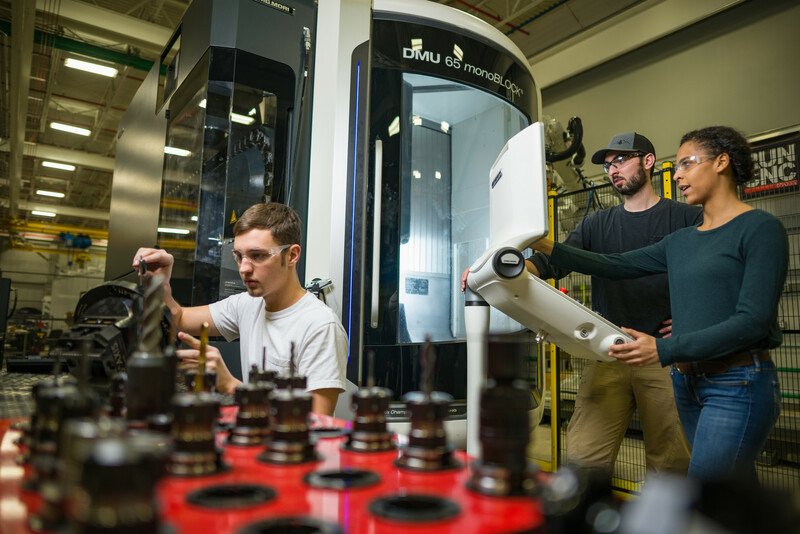 The John Olson Advanced Manufacturing Center is up and running with a focus on industry engagement, student engagement and research as it connects UNH students to real-world learning opportunities. The new Innovation Scholars program is a research driven introduction to UNH for first-year students under the direction of a faculty member. 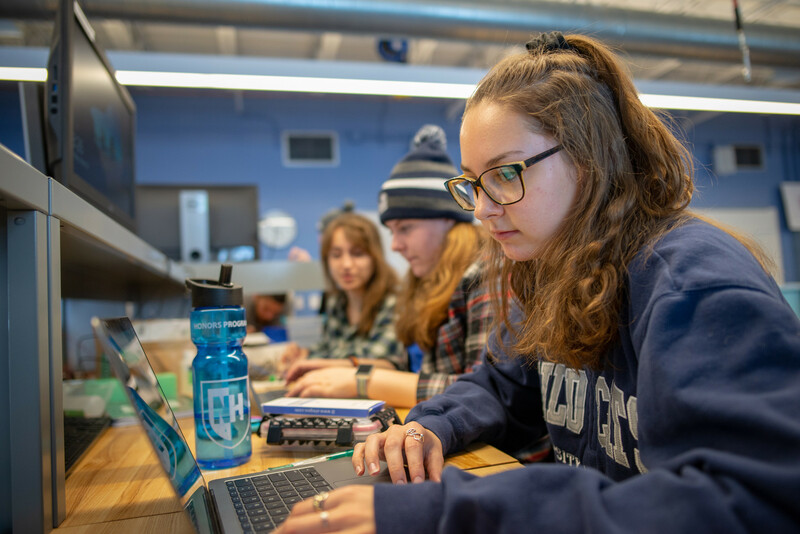 Students will develop skills that open doors of opportunity at UNH and connect them to the scholarly activity with UNH Innovation and UNH Career and Professional Success. There are multiple research areas to choose from. 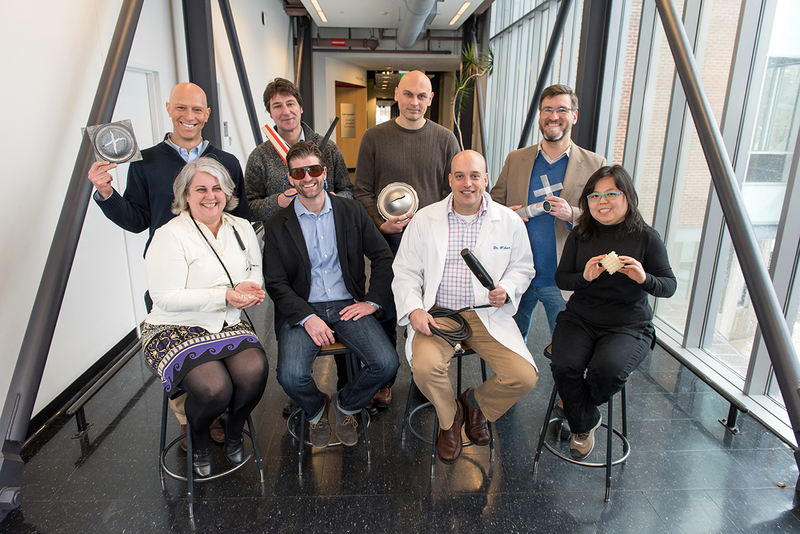 We are proud to celebrate research excellence in our department of mechanical engineering, whose last eight tenure-track faculty hires have received a National Science Foundation Faculty Early Career Development (CAREER) award. It’s one of many ways UNH is exploring the edge of possible through research and its commitment to educating the next generation of engineers. Chris Daigle '02 co-authored an article on the construction of the John Greenleaf Whittier Memorial Bridge that crosses the Merrimack River on Interstate 95. Four additional UNH alums were also involved in the design and construction of the bridge. Jihyon Im received the 2018 New England Water Works Association (NEWWA) Younger Member of the Year Award. This award recognizes individuals who have demonstrated outstanding service to NEWWA through active participation in the association’s programs, committees and presentations. Many students enter college with a desire to make the world a better place. Eden Suoth ’18 is doing it. He says at UNH he gained a sense of confidence and ability to legitimately enact real change in the world, enact real change within the community.